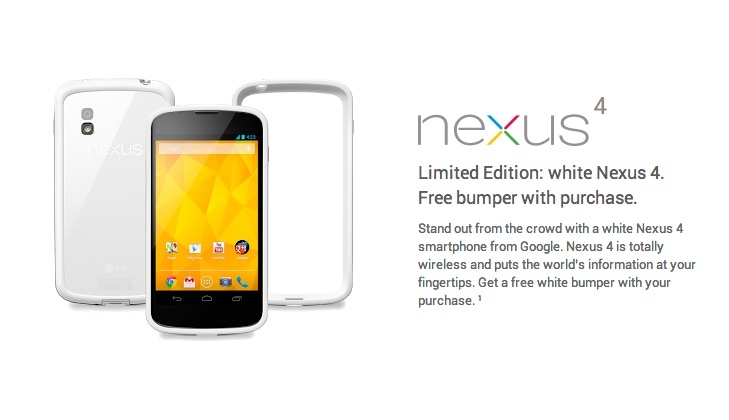 The white Nexus 4 in both 8GB and 16GB variants just appeared on the Google Play store, though you can’t buy it at this moment. Actually, all of the N4 pages appear to be broken, but this certainly is a sign that we are moments away from having white backed, Oreo phone glory. The 16GB runs $349, while the 8GB version is $299 – the same prices as the black version of the phone. Update: The pages are now live! And you get a free white Bumper with purchase. 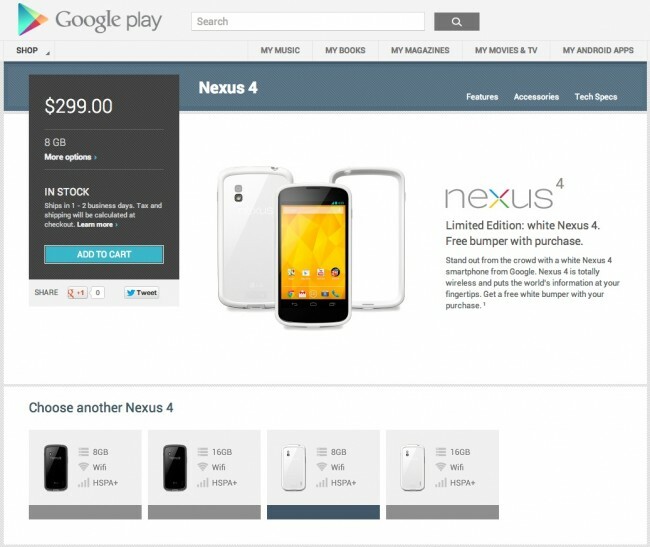 Update 2: T-Mobile is also selling the white version, though they are charging $428 for the 16GB version.